"A sad and very damaging day for our city" is how councillor Mike Cubbard has described the introduction of bye-laws that will curtail and reduce the ability of buskers to perform in Galway city centre. At yesterday's Galway City Council meeting, controversial bye-laws regulating busking in the city centre were passed. The new laws mean buskers will not be permitted to use amplification until after 6pm; performers aged under 16 will have to be accompanied by a parent or guardian; while ‘circle acts’ - buskers/street entertainers which draw large crowds - which some feel impede movement through the city streets - will not be allowed to perform on Shop Street until after 6pm. Independent city councillor Mike Cubbard, who voted against the new bye-laws, said their passing was "a sad and very damaging day for our city" that sends out a negative message about Galway. "On any promotional video of Galway, you will see busking," Cllr Cubbard said after the meeting. "Busking played a huge part in securing the Capital of Culture 2020." "The buskers themselves have a code of conduct for good practice which has been operational for several months," he said. "Like many new codes of conduct it will need time to work to the level expected of it. Most buskers want to do well by shop-holders as only working together will both be successful. Therefore, I felt strongly about allowing that code of conduct come to fruition and amending that if required. However, that was rejected last night." The new bye-laws do not basking itself, but Cllr Cubbard is concerned it will have a detrimental effect on busking in the city. "Will Galway lose the better buskers to other cities? By banning amplification before 6pm what acts will we lose?" he asked. "Many of the smaller performers, dancers, etc, require low amplification to perform. They are now facing a problem when these bye-laws come into force." In a statement on Facebook, Galway Buskers & Street Performers said the bye-laws, "if implemented in the autumn as planned" will "destroy busking as we know it in our city. The Galway Buskers Community has fought the implementation of these bye-laws every step of the way, and now we will continue our fight. It's not over. Please take heart, and stay tuned." Cllr Colette Connolly, who voted in favour of the bye-laws, said they were necessary as "performances that attract large crowds have definitely created problems of access, particularly for those with a disability, and anyone in a wheelchair or those who are aged and parents with buggies". She argued that noise levels from amplification and from 'circle acts' had become "intolerable" and created "difficulties for workers and citizens alike". She said: "It is not acceptable that workers have to tolerate such noise on a daily basis for hours on end. I had a duty as a councillor to consider their health, safety, and wellbeing as a priority." She added: "Councillors must introduce policies and laws that benefit the majority in the interest of public good." However, Cllr Connolly, during deliberations on the issue at several environment SPC meetings, suggested circle acts and buskers wishing to use amplification "should have a designated area" at the Spanish Arch and Eyre Square. "I believe this can work successfully," she said. 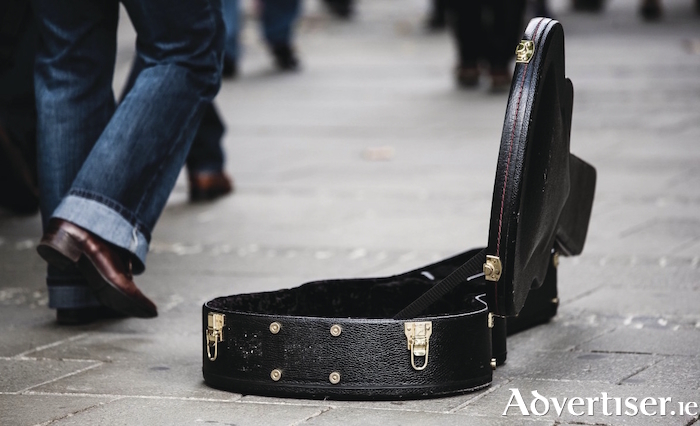 "It is claimed there is insufficient footfall to make busking economically viable but that can easily be addressed through marketing and both locations are just metres away from the heavily congested Shop Street and Quay Street areas."